The 2013 Bahrain Grand Prix was a great race. Behind Vettel's Schumacheresque win the rest of the field treated us to a proper motor race. Sometimes terrible circuits provoke great racing, and this is often the case with the Bahrain International Circuit - a Tilkedrome with no outstanding features and no perception of speed amongst the vast expanses of tarmac, rock and sand. The McLaren drivers of Sergio Perez and Jenson Button fought each other hard. Button keen to assert his team leader position that so far this season has come easy to him, and the challenger Perez, keen to shake off the slightly crap perception that has befallen him - due to some slightly crap drives. They fought so hard in fact that Button had to pit for an extra set of tyres due to Perez hassling him for so much of the race, which ruined his potential 6th position. Button ended the race 10th. "The two of them (Perez and Button) spent much of the afternoon in close proximity to each other – sometimes in nail-bitingly close proximity actually – but that’s motor racing. Both Jenson and Checo are fast, forceful and hungry for success – and that’s exactly how it should be. 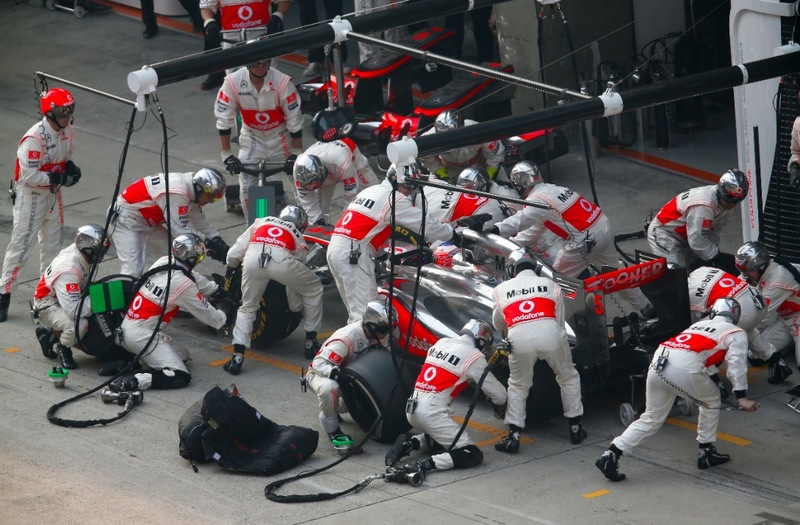 It’s called racing, and we at Vodafone McLaren Mercedes always allow our drivers to race. It’s what this sport is all about. Having said that, it’s probably fair to say that Checo was a little too combative with Jenson this afternoon, and I think he knows that." It takes guts to let your entire result hinge on your two drivers not coming together and at times they were close to doing so. Whitmarsh's attitude speaks volumes about McLaren.